Waterkringloop wordt ook hydrologische cyclus of watercyclus genoemd. Deze cyclus wordt gebruikt in de hydrologie. 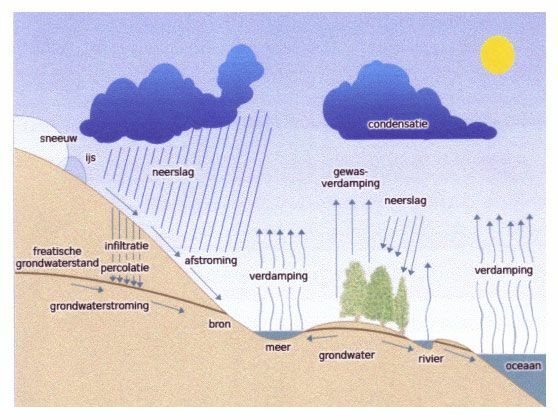 Hydrology is the study of the movement, distribution, and quality of water throughout Earth, and thus addresses both the hydrologic cycle and water resources.